How do you like your deere? Rare, medium or well done. This came to me via email with no details. Please post a reply if you have any idea where or what happenned. 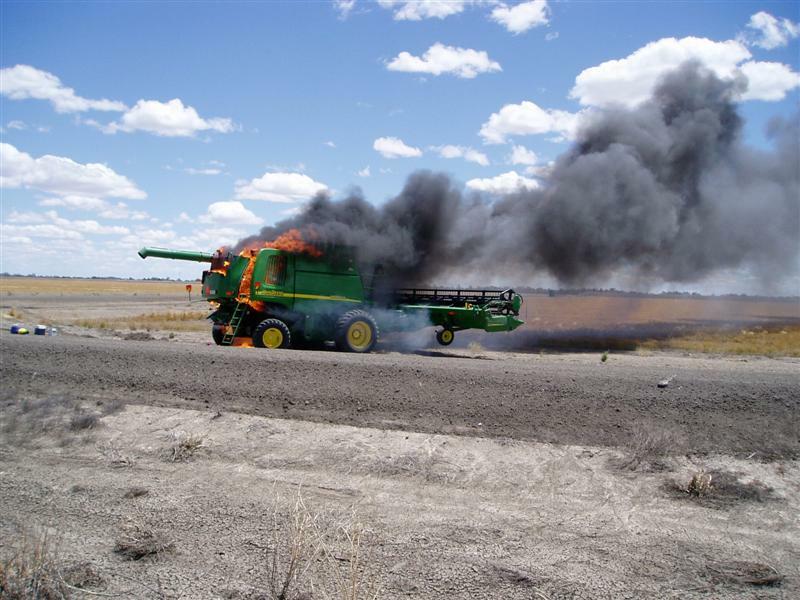 Late Mail – a guy I ran into today told me he saw it yesterday just out of Narrabri, Northern New South Wales. He said he had no idea it was a John Deere. There wasn’t a speck of green paint left on the black wreck. 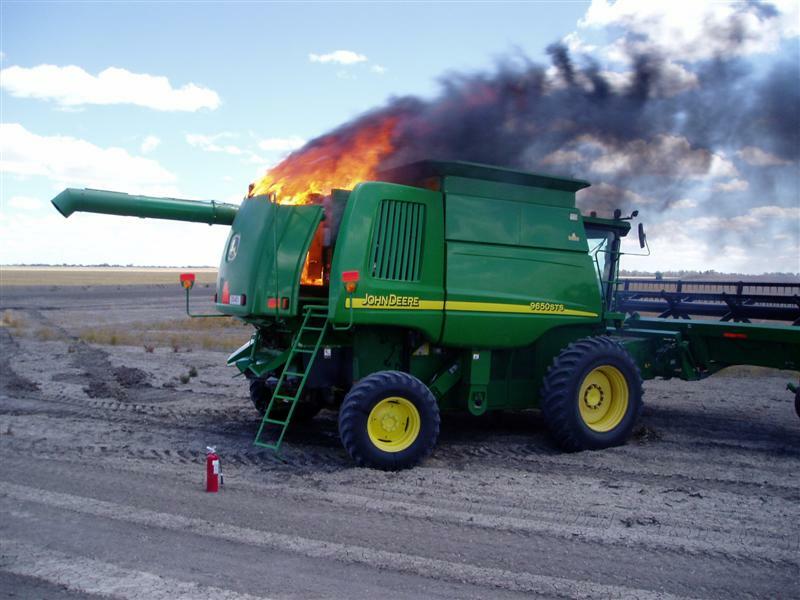 Now that’s one smokin’ hot deere! I’d say it was harvesting chick pea. 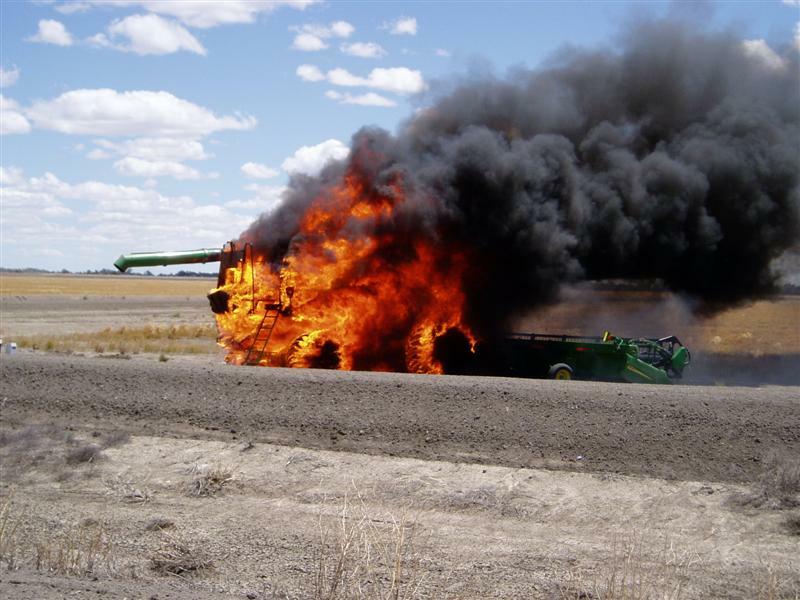 It’s notorious for staring fires in harvesters due to the properties of the dust.